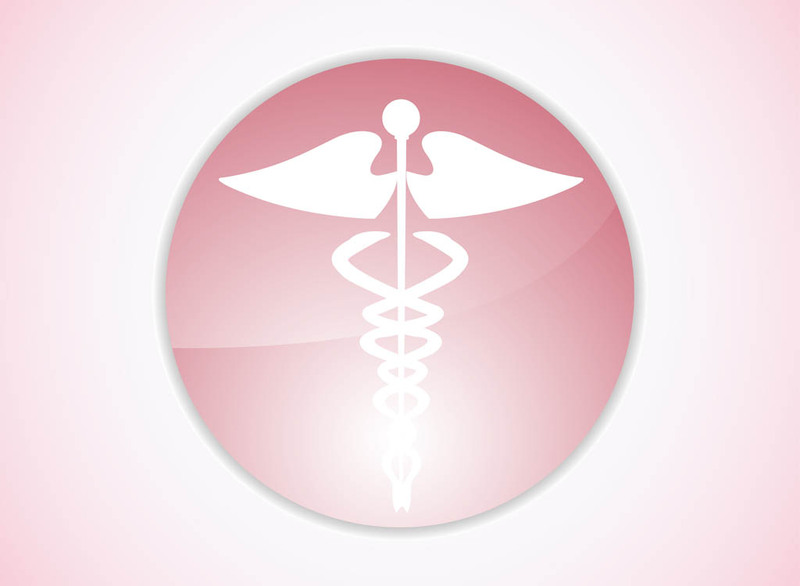 Medical vector layout with a Caduceus symbol. Glossy round shape with the silhouettes of two snakes swirling around a rod decorated with a ball and big spread bird wings. Free vector design to create medicine, medical, medication, hospitals, doctors, pharmacies and nurses visuals. Tags: Caduceus, Circle, Healing, Icon, Logo, Medical, Medications, Medicine, Snakes.